Mini Excavating is our business. 2005 brought changes. First, was the name change, which reflects the change from logging. This truly was the end of an era. The logging business was started in 1979 and the last of the logging equipment was sold in 2004. Now we concentrate on "Dirt Works" to make it the best mini-excavating company in the area. 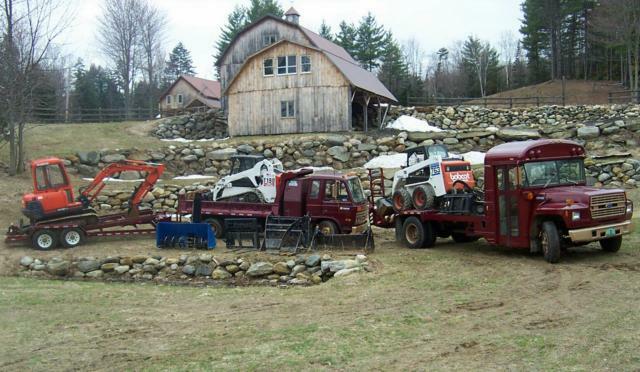 Second, we have added a third skid-steer loader and a third truck to our fleet. We are in the process of improving the efficiency of our on-site screening system as well as our transport capabilities. You'll recognize us on the road!